How can I customize the explanation for the email in the footer? The footer of the email template includes an explanation why the email was sent. For example: this email was sent because you ordered a product from www.example.com. 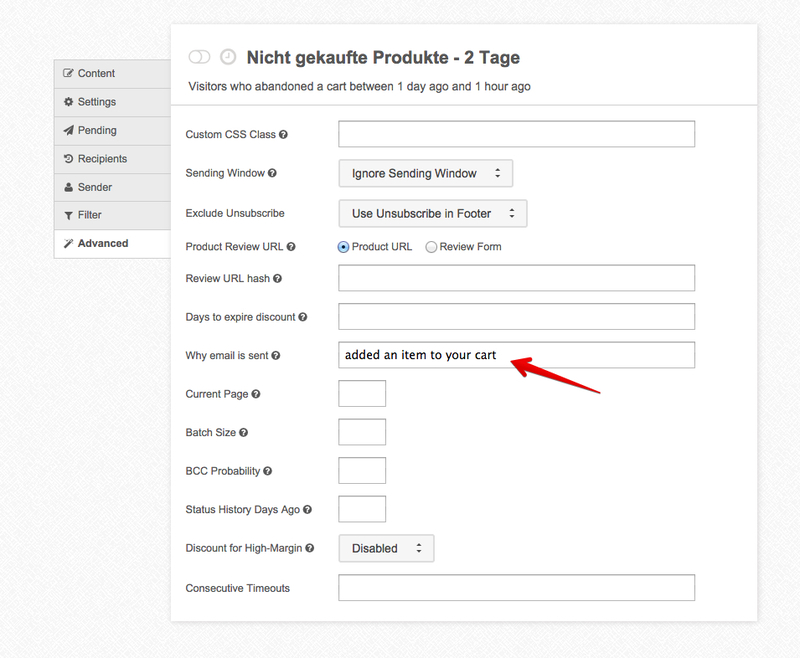 You can customize that content by using the *Why email is sent* field under the *Advanced* tab on the trigger edit screen. This is commonly used to change the language in the abandoned cart template from "you ordered a product" to "you added an item to your cart". It can also be used to internationalize the unsubscribe line.